Architect designed homes are often uniquely beautiful properties. And although they can be expensive, this is certainly not always the case. There is a vast variety of styles, locations, sizes and prices to choose from. You may be pleasantly surprised at just what you can get for your money. France is a hugely diverse country, and there are architect homes to be found all the length and breadth of it. Are you looking for a sleek, city pad (Best Luxury Property for Sale in France - Perfect for Bankers' Bonuses), a seaside stunner with views over the Med, or the Atlantic, or something special in the mountains? Is an eco friendly property top of your shopping list (Green and eco friendly building in France), or is it all about exclusivity? Are you looking for a clearly contemporary design, or is it more important to you to find a home that harmonises with the countryside and style of existing, traditional buildings? If you are one of those people who like your home to have the wow factor that only an architect designed home can give, then take a look at the following properties. Ten of the very best architect designed properties that are on the market in France are lined up for your inspection and all you have to do is take your pick. 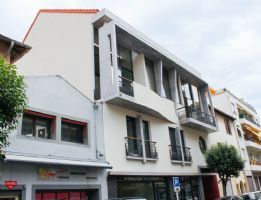 This building dating back several centuries, has been mdernized by an architect and is now offering a very spacious 4 bedroomed house with a 3 floor building next to it which could function as a shop, office space or appartments. 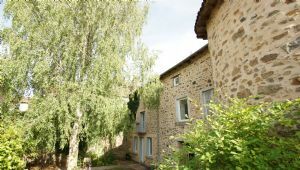 Living is all orientated to the back where there are the beautiful courtyard and ancient tower. Take a barn and implant a lot of glass in the end wall with a stunning view and this is what you get – a unique property. The focus of your vision is to the outdoors from the downstairs salon, a mezzanine bedroom and even the bathroom. The open plan feel of the living space is enhanced with the exposed beams and wood ceiling, cleverly insulated to avoid heat loss. 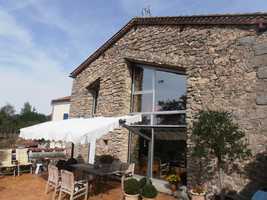 Architect designed property to provide both gite & B&B accommodation. The property is of many parts in that the 3 bedroom house also has a self-contained apartment in the attic where you see 6 handsome dormer windows. These look out over fields and the front graveled drive with a variety of trees species and laid-out paths and parking for several cars. The back of the house has a bedroom feature of a roof terrace of 9m². 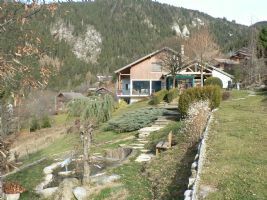 In addition there are 2, two person gites annexed to the house: ‘The Tower’ & ‘The Lodge’, which are sold ready furnished. Don't miss this STUNNING villa! 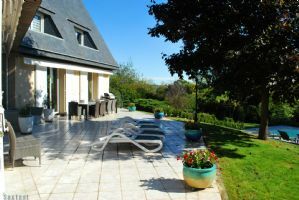 ARCHITECT DESIGNED to capture the sun throughout the year this wonderful detached villa is ideally situated WITHIN a FEW MINUTES walk of Laroque des Albères village centre. In GOOD CONDITION, offering 4 bedrooms, (1 ensuite), plus an office, 42m² lounge/diner plus RECENTLY MODERNISED KITCHEN there is NOTHING LIKE THIS ON THE MARKET. This beautiful architect's villa is set on the heights of the village and enjoys wonderful views over the valley, till the lake of Geneva. Unique Architect's house in the vineyards near town and beaches. This superb, original house was designed by the renowned architects AEA of Strasbourg, and completed to the highest standards in 2005. 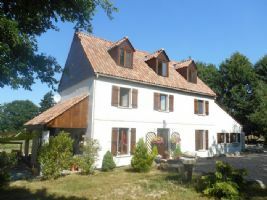 Situated in a peaceful setting at the edge of AOC Pauillac-MÃ©doc vineyards, it is minutes from the town, the Gironde estuary, several golf courses and the lakes and beaches of Lacanau and Hourtin. Bordeaux and the airport are 40 minutes. The house features very large rooms and is incredibly light thanks to the huge glass areas in all rooms. 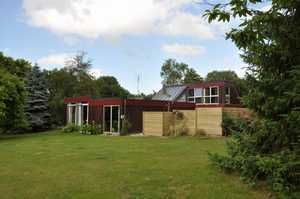 Very spacious architect designed villa in a prestigious neighbourhood. This 243m2 property offers a generous amount of space and an exceptional view, is not overlooked from any side, and is set in a beautiful landscaped 1750m2 garden with a heated swimming pool. 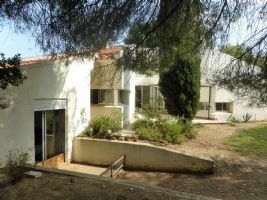 On the edge of the lovely village of Alenya at 5mins drive from the International Golf course of St Cyprien, this is a beautiful single storey architect style villa offering 215m² total living space on 1400m² landscaped garden with swimming pool. It offers 4 bright en-suite bedrooms, a spacious living dining area with fireplace open on covered terraces through large French bay window and to the swimming pool, an equipped kitchen, a pantry room and a study. In central Antibes lies this very unique townhouse on three-levels with a private terrace with stunning view of the Mediterranean Sea, the yacht harbor and the mountains. Within walking distance to shops, old town and many restaurants. This town house is truly one of a kind, designed by an architect and has its private elevator leading up to every floor. - On the first floor, two bedrooms with each one a bathroom and toilet. 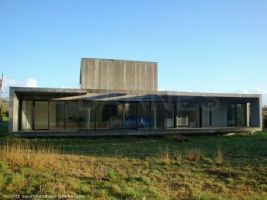 The properties listed above are just a small election of the current crop of architect designed properties on the market around France, and serve to demonstrate the diversity, quality and range of price that can apply to these very individual homes. Not all will be to your taste, but isn't that the point? Somewhere among this lot may be your dream home, and if not, keep looking, there are many, many more.